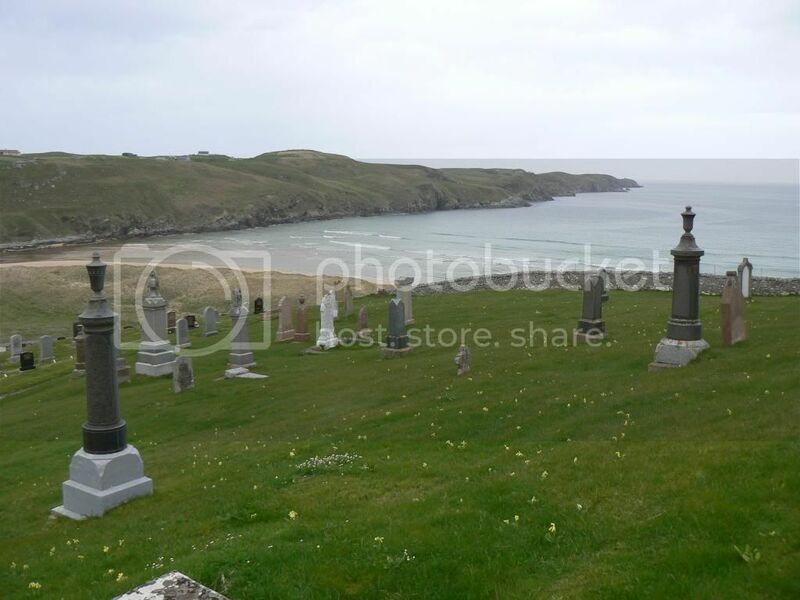 Location: Between the village and the sea. 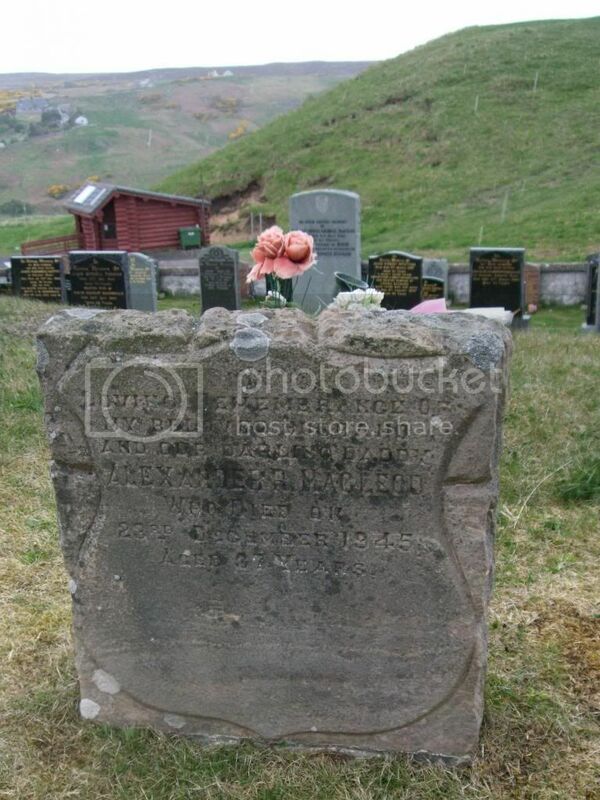 Grave Reference:About middle of Cemetery. Regiment/Service:Royal Air Force Volunteer Reserve 269 Sqdn. 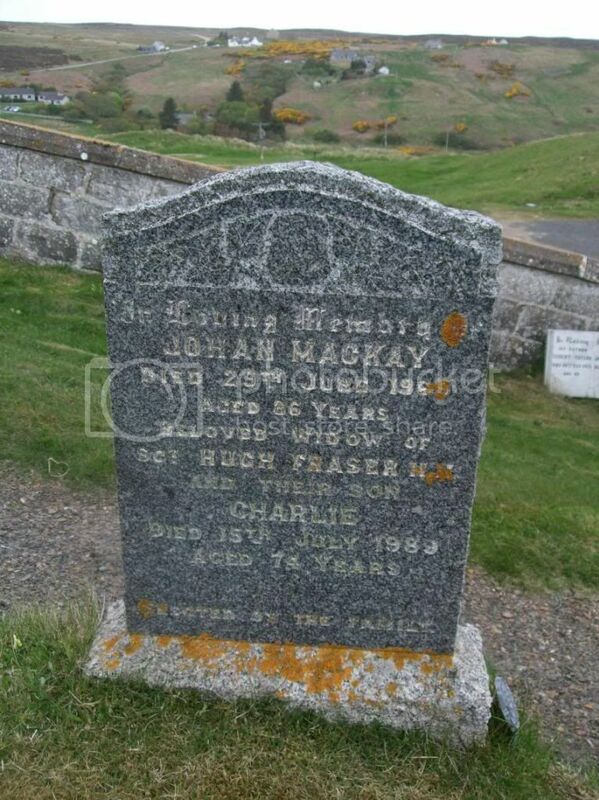 Son of Mr. and Mrs. John Mackay, of Bonar Bridge. Regiment/Service:Royal Naval Reserve H.M.S. "Vivid." 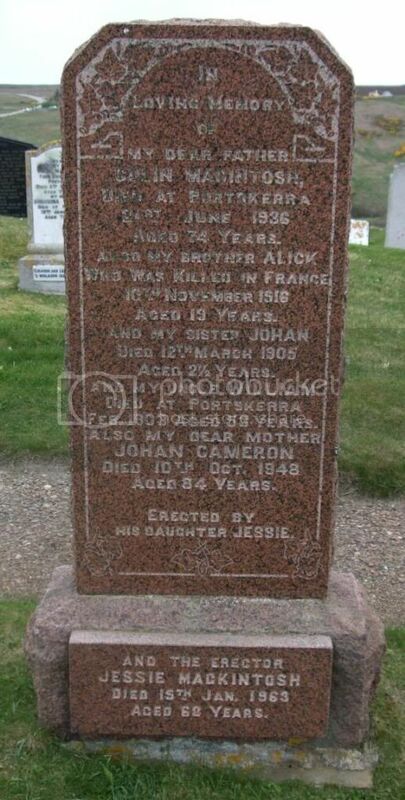 Son of Alexander and Janet Mackay, of Strathy Point, Thurso. 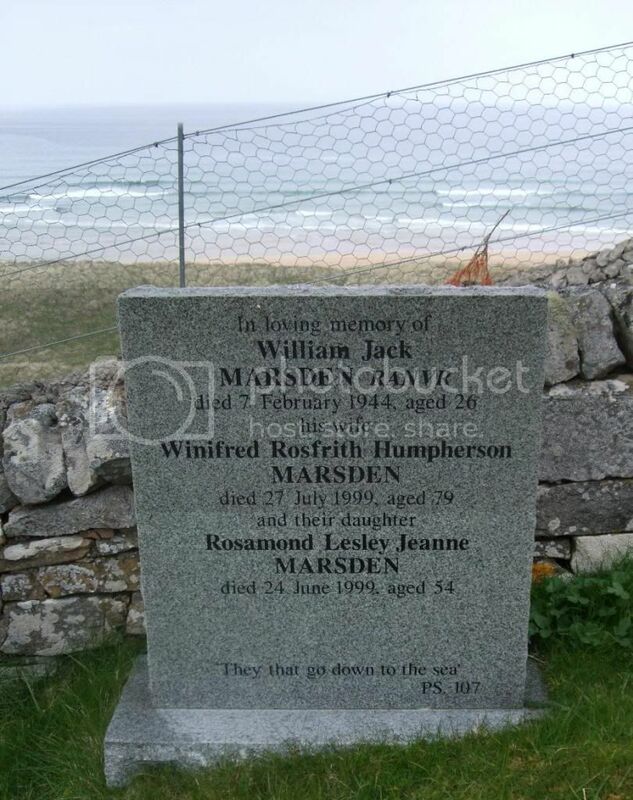 Son of Alexander and Janet Mackay, of Strathy Point, Sutherlandshire, Scotland. 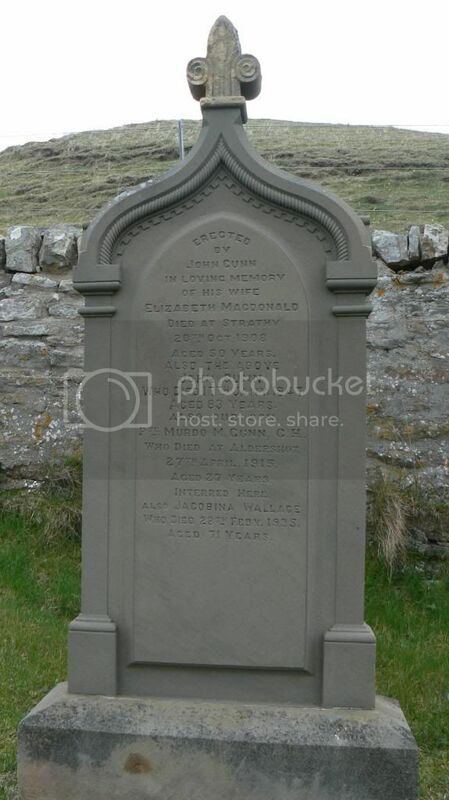 Husband of Annie Macleod, of Strathy. Regiment/Service:Royal Naval Reserve H.M.S. "President III." 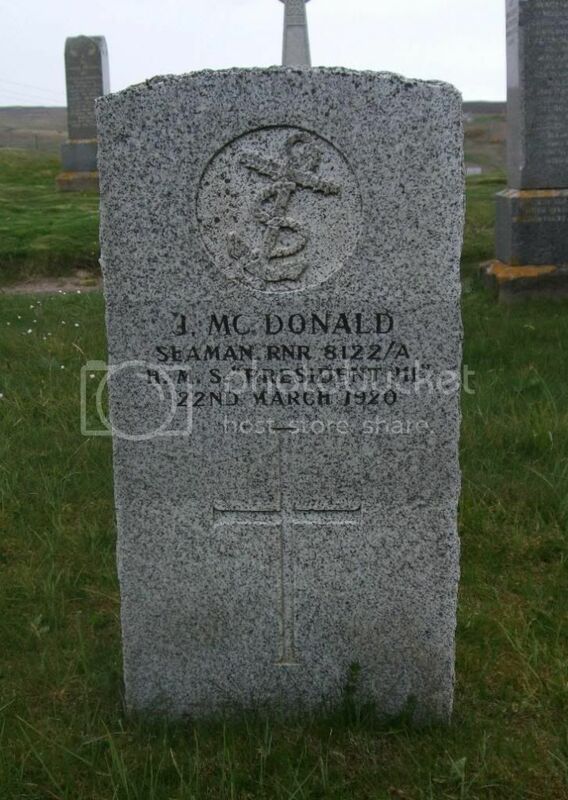 Son of Hugh and Christina McDonald, of Low Rd., Portskerra, Melvich, Thurso. 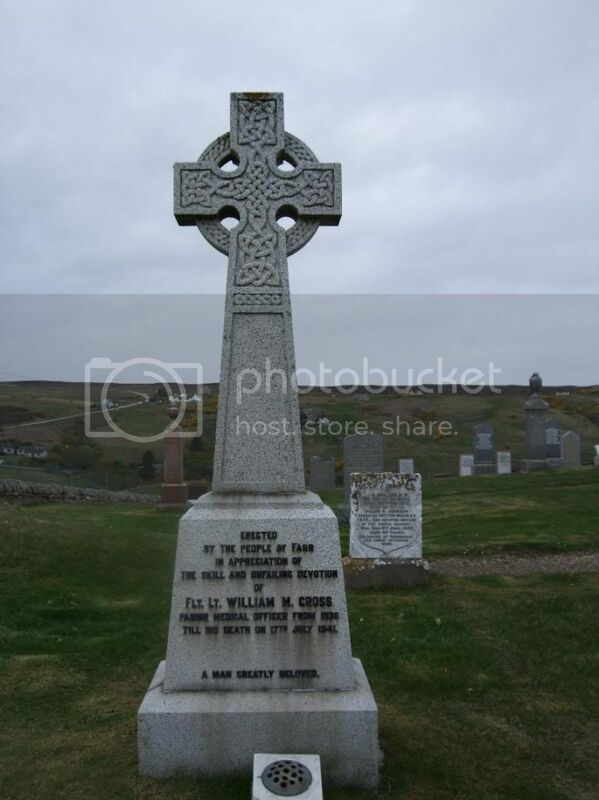 Although not mentioned here William Cross was a Doctor. The London Gazette of 25/7/1941 has Flight Lieutenant William MacPherson CROSS, M.B., Ch.B. (72356) relinquishes his commission on account of ill-health. 25th July 1941. 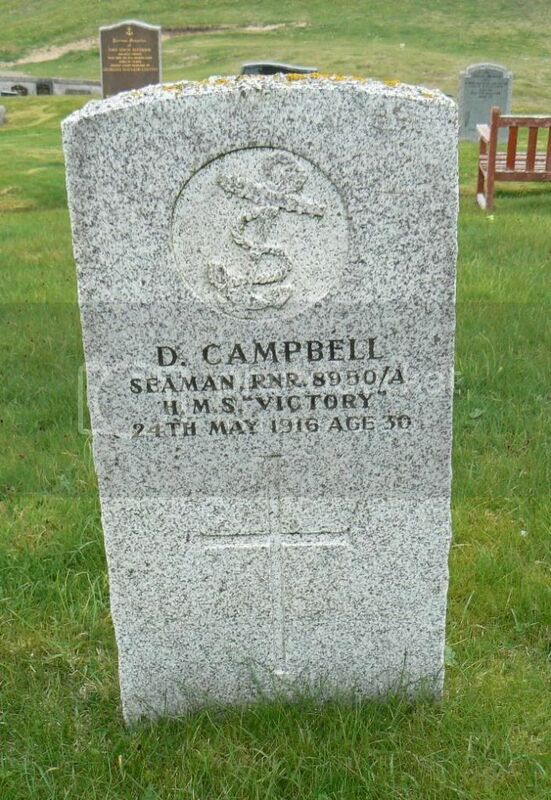 He was granted a commission as Flying Officer Royal Air Force Volunteer Reserve Medical Branch on 2 August 1938. Born 2 May 1911, Glasgow, Scotland. Son of George and Janet Fraser, of Portskerra; husband of Johan Fraser, of Portskerra, Sutherlandshire. Panel Reference:Panel 93, Column 1. Regiment/Service:Royal Field Artillery 9th Div. Ammunition Col. 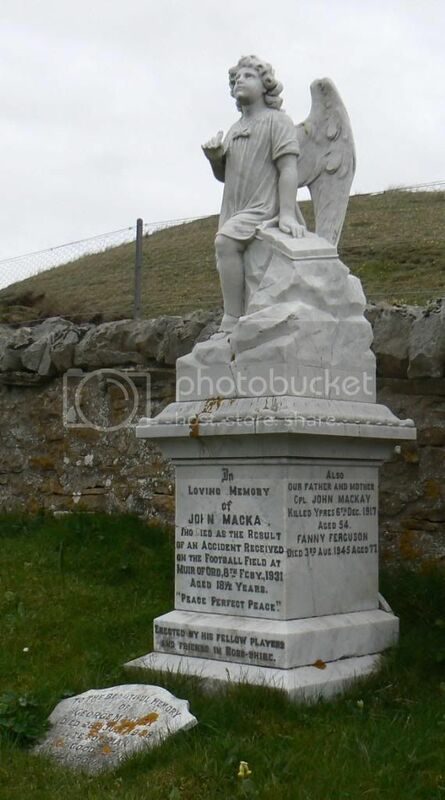 Son of Colin and Johan MacIntosh, of Portskerra, Melvich, Sutherlandshire. Notes: Formerly 4809 6th Battalion? 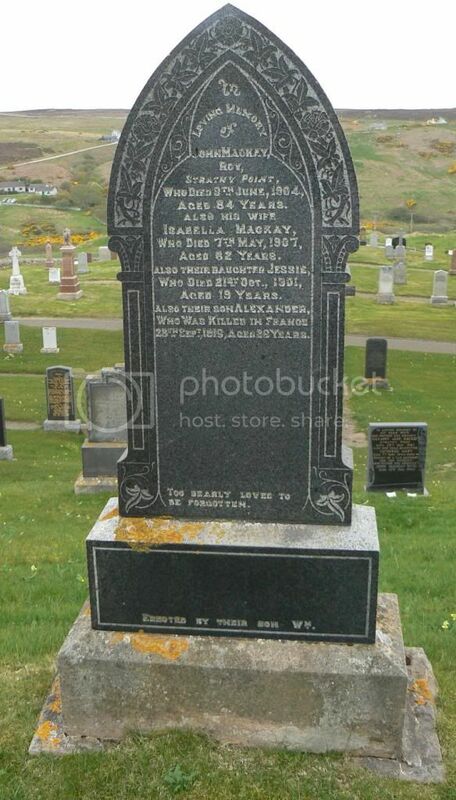 Commemorated on the family headstone in Strathy Burial Ground, Farr. Regiment/Service:Royal Engineers 263rd Railway Coy. 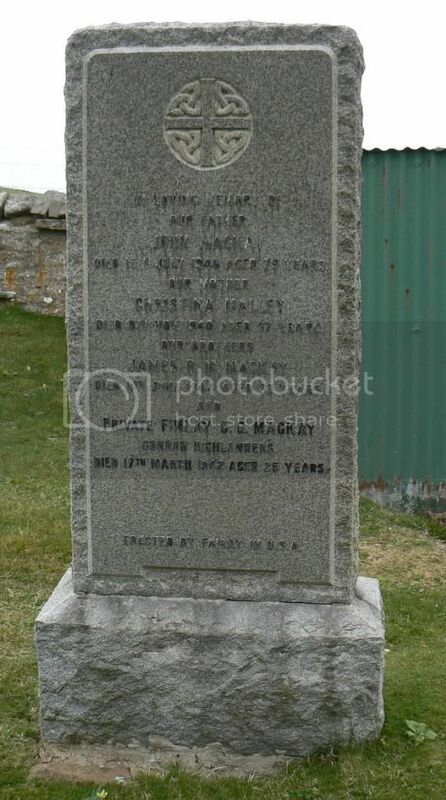 Son of George and Isabella Mackay, of Strathy, Sutherlandshire; husband of Fanny Mackay, of 14, Duncan St., Thurso.